The Cumberland, built in 1842 at Chatham, was a 2214-ton two-deck 70-gun man o'war, 180 feet long, with three masts. She served in the Crimean War with a crew of up to 620 men. In 1869, she was taken over for use as a training vessel by the newly formed Clyde Industrial Training Ship Association. The Association had the object of providing for the education and training of boys who, through poverty, parental neglect, or any other cause were destitute, homeless, or in danger from association with vice or crime. 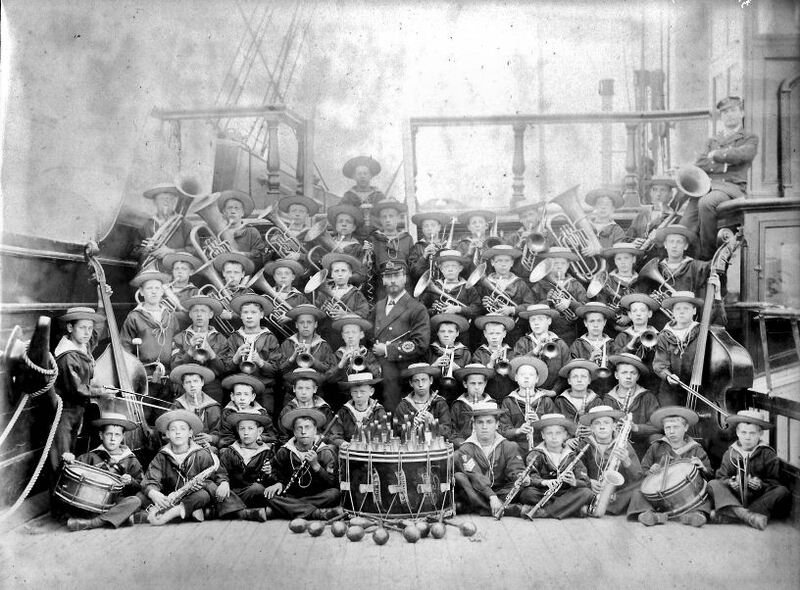 Originally, boys were trained for entry into both the Royal Navy and the Merchant Service. 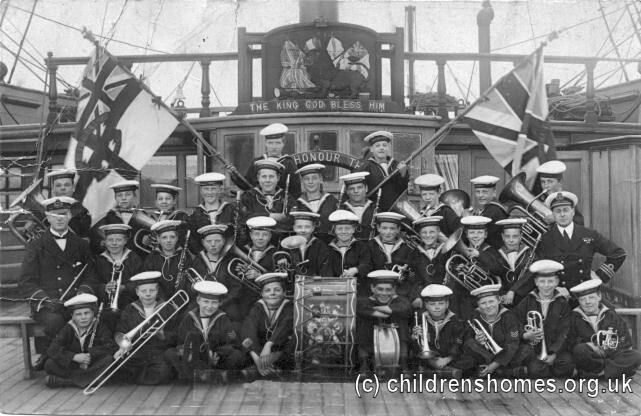 However, after the Royal Navy decided to accept only boys of good character, the training became more oriented towards the Merchant Navy. In 1889, the Cumberland was destroyed by a fire and was replaced by the Empress, a wooden battleship originally known as HMS Revenge. The 3318-ton Revenge, built in 1859, was 245 feet long and had a complement of 860 men. 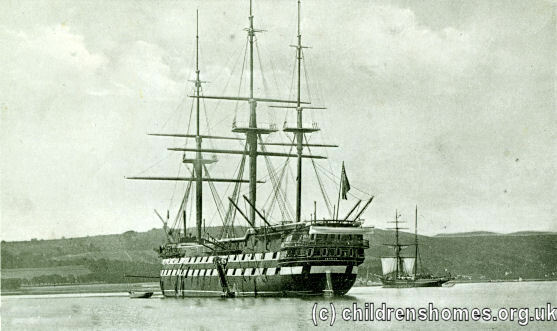 Her previous roles had included Flagship of the Channel Fleet in 1863, Second Flagship of the Mediterranean Fleet in 1865, and Flagship at Queenston (1873), as well as coastguard duty at Pembroke and Devonport. Under the name of Empress she served as a training vessel until being sold off in 1923.